Fragmentation. The word is perhaps Apple's favorite weapon against the rising dominance of Android. Samsung, HTC, Lenovo, the list of companies selling Android-based devices is endless. Though this endless list speaks highly of Android’s success, it also fails to cover one of the biggest flaws as far as Android's market position is concerned and that is fragmentation. Whether you buy a Samsung device or a cheap entry-level smartphone, you'll always feel a hint of envy towards the coveted Nexus phone. It's always the first to get the latest updates. Be it new lockscreen widgets or bugfixes, users with non-Nexus devices have to sit impatiently twiddling their fingers for updates. Having said that, fragmentation isn't something that can't be fixed. If Google take some measures, they can alleviate this problem to a great degree thus bringing Android at par with iOS. Personally, I know many people who are still stuck on Gingerbread, which, in my opinion, is a hugely outdated operating system. Though it will take time for Google to fix things, here are some of our recommendations that might help the search giant deal with this issue. 1. Let Android 5.0 be upgradable to everyone. There is a huge anticipation as far as Google's next operating system is concerned. Android 5.0, which will probably be announced in October, will bring a host of new features to the open-source mobile operating system. 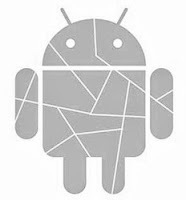 However, along with those features, Google could pack in a quick solution to Android's fragmentation woes. Inspired by the backwards-compatibility of the recently announced iOS7, Google could make Android 5.0 backward compatible till Gingerbread. So, in other words, anyone with Gingerbread can update his or her device directly to Android 5.0. This will bring users with outdated operating systems at par with the new ones. Another thing Google needs to do, if at all it decides to make this move, is that it should make the OS upgradable even on budget devices. So, if you have a smartphone or tablet with less than 1GB of RAM, you'll still be able to upgrade it to 5.0. Of course, these devices won't get all the features compared with Nexus 4 or Samsung Galaxy S4, they will, however, be able to enjoy the latest Android experience which has grown leaps and bounds since Gingerbread. To affirm that this idea is not just wishful thinking, there are already rumors floating around about an Android update that will be compatible even with devices with 512 MB of RAM. To know whether this rumor is true or not, you'll have to wait until October when Google decides to unveil the next version of Android. 2. Work with major manufacturers for speedy updates. Though Google works hard to innovate and bring the best features to Android with every update, many manufacturers take months, and sometimes years, to bring those updates to the average user. Many Samsung Galaxy S3 users, for example, are yet to get the 4.2 update that was released in 2012. To remedy this issue, Google could work with big companies like Samsung, LG, HTC, and even Motorola, to bring out speedy updates. Samsung, for example, is one of the biggest manufacturers of Android devices. If Google collaborated with Samsung on making new updates available within weeks to its users, it could improve the Korean giant's sales immediately. And, also, it will ensure the problem of fragmentation doesn't persist. These days many manufacturers are coming up with their own Android devices. From budget phones to fancy smartphones, everyone's trying to find their own place in Android's success landscape. A good measure for Google to ensure that fragmentation doesn't grow will be to make it mandatory for new manufacturers to include the latest version of Android with their device. Also, it can enforce similar policies with tech giants like Samsung and HTC thus ensuring that they deliver smartphones and tablets with only the latest and the greatest version of Android.